Marshfield, MA (July 4, 2018) – A boy in Marshfield, Massachusetts suffered severe burns in a fireworks accident on Tuesday. The boy was on a beach Tuesday when he was injured by the exploding firework. Police responded to Farragut Road around 9:30 pm, shortly after the explosion occurred. There, they found the boy suffering from burns to his legs. An ambulance transported the boy to South Shore Hospital for treatment. The boy has second degree burns and is expected to remain in the hospital indefinitely while he recovers. Police have not released his age or provided additional details surrounding the accident. It is unknown if the boy was being supervised by an adult when the injuries occurred. With July 4th upon us, many people will be celebrating with fireworks across our state. It is important to remember that fireworks are dangerous explosives which must be handled with care at all times. Children should never be allowed to use fireworks without very close adult supervision. 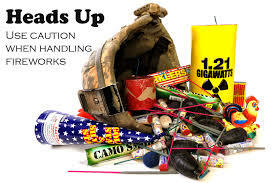 Fireworks users must follow all instructions given by the manufacturer to ensure that they safely using the product and to minimize their risk of suffering injury. Every year, numerous people are injured in fireworks accidents. The results can be quite severe and injuries range from minor up to disfigurement and even death in serious cases. We hope that the injured boy in this case has a quick recovery. Sometimes, no matter how safely you use a product, injuries still occur. This happens when the product is defective or unreasonably dangerous after it leaves the manufacturer’s facility. In cases where a product is not safe for ordinary use or it has a defect that should be reasonably apparent and the product injures a user, a product liability action may be at hand. In product liability cases, the consumer must show that they used the product in accordance with its typical or expected use and that they were still injured as a result of a defect. If this can be established, the manufacturer may be responsible for injuries suffered. In this case, it is not clear why the boy was injured and further investigation is needed to determine the cause of the burns. If you or a loved one have suffered injuries because of a defective product, give us a call today. At the Law Offices of Jeffery S. Glassman, we routinely handle all types of Massachusetts product liability claims and we would love to hear from you.